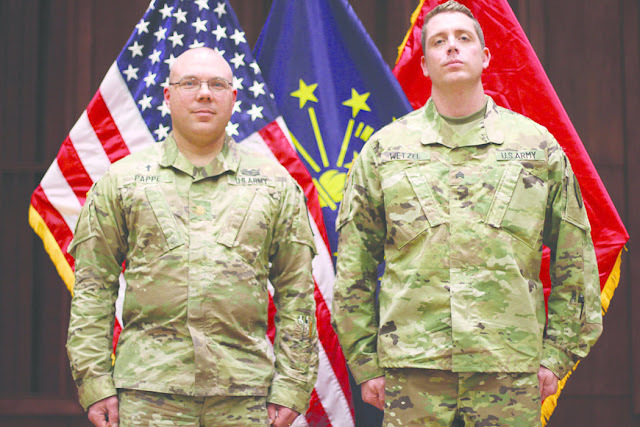 Beech Grove, IN, (April 4, 2018) VRI — Beech Grove residents and Indiana National Guardsmen Cliff Pappe and Aron Wetzel are providing spiritual support to members of the armed forces through their service with the 135th Chaplain Detachment, which was deployed to Kuwait in March. Maj. Pappe, a chaplain, and his assistant, Sgt. Wetzel, were deployed in support of Operation Spartan Shield. Pappe said the 135th is the only Indiana Guard unit with its members from the same hometown. 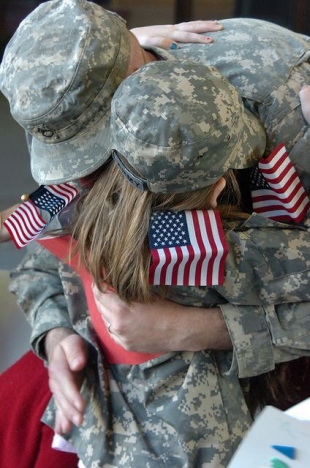 He and Wetzel will provide religious support to thousands of troops. Lt. Col. Jim Staggers, the Guard’s deputy chaplain, advised and reassured the two deploying soldiers during his speech.